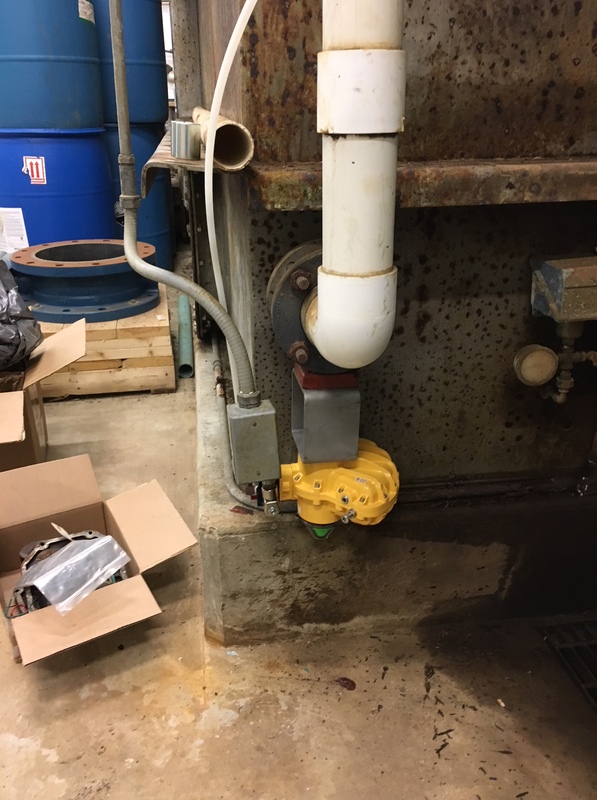 The right actuator for the right application has to include how you access the valve, how it fits, and all the components that need to reach the valve. We are in a tough industry where the product you sell is normally something the customer wants to work and forget, so they are often installed in hard to reach locations where people aren’t going to walk. We just did an install where the above actuator was giving out and was not designed for cooler locations in which it was operating. Water treatment plants can basically turn into a large air conditioner with cold water running through them in the winter. There were a number of reasons the owner wanted to replace the actuator, but the valve disc itself was still functioning. We measured the clearance areas all around the base valve body to get an evaluation of the space. The air lines and electrical connections would be reused / replaced as needed. This was not to bad to work on because it was indoors and well lit, but it was right up against a large tank and concrete support structure. The new vane type actuator required a mounting bracket between the valve and actuator to give space to couple the existing valve shaft to the actuator. It was no longer extending into the walkway with the cylinder, and the vane actuator is much more compact and able to handle the cold temperatures. There is flexibility in the ability to install the actuator in four different clock positions, but this was the only position in which the actuator fit and the solenoid was easily accessible to manual operation as needed. If you want to actuate a valve and have problems with the actuator or installation location to overcome, please contact us.